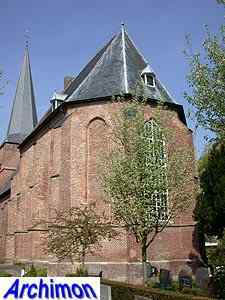 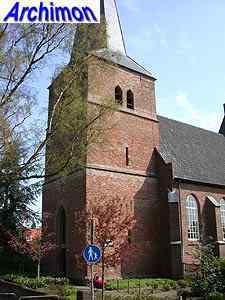 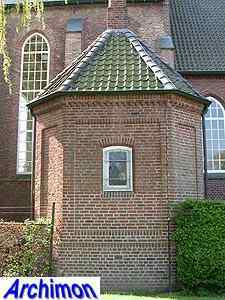 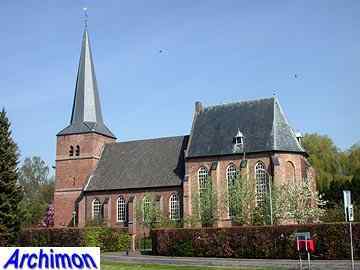 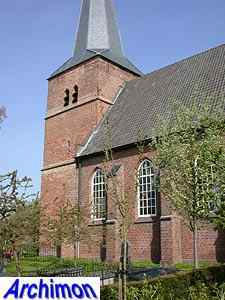 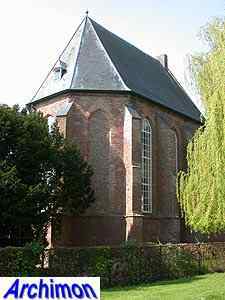 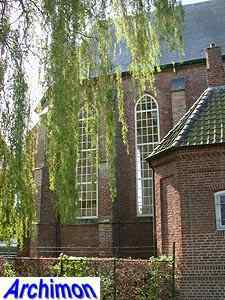 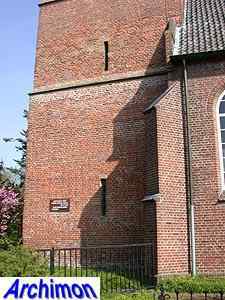 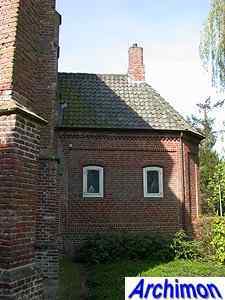 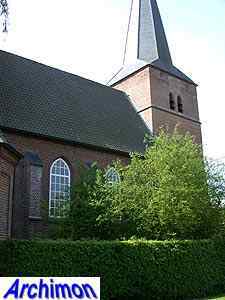 The reformed church of Groesbeek, originally named St. Cosmas and St. Damianus, is a one-aisled building with a higher choir and a short tower. 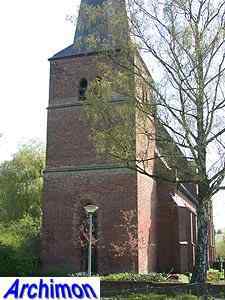 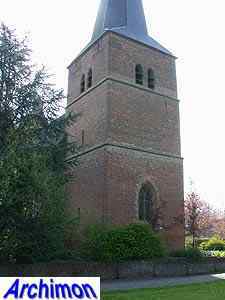 The tower is the oldest part of the church and dates from the late-14th century. 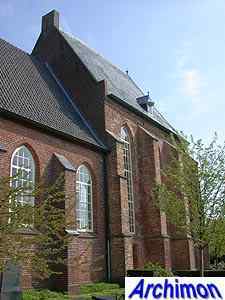 The late-Gothic choir dates from the second half of the 15th century. 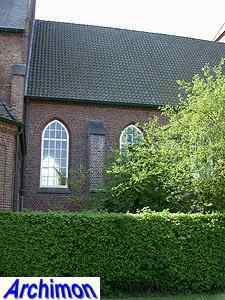 The original nave was damaged in 1798 and since then the choir, closed with a wall, had been used as the church. 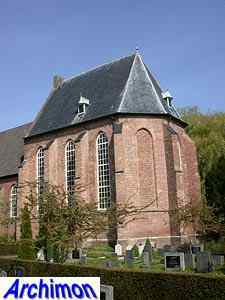 Apart from the lower parts of the walls, the remains of the nave were demolished in 1809 and the space became cemetery. 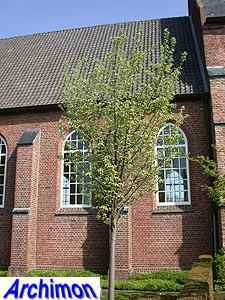 At the end of world War Two the choir was badly damaged. 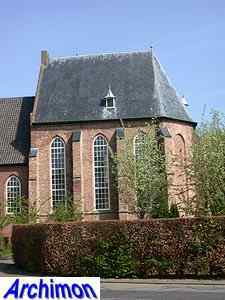 During a restoration by A. van der Kloot in 1953-1954 the nave was rebuilt in pseudo-Gothic style using the old foundations. 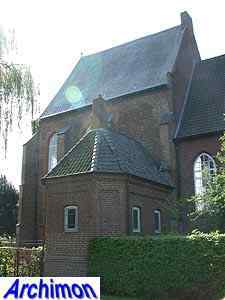 On the north side of the choir a consistory was added.